On the Internet, I often see people complaining to Jeopardy! that only the winners keep the cash, unlike Wheel of Fortune, where all players keep their money totals from puzzles solved. There’s a very good reason for that: Risk. On Wheel, once you solve a puzzle, that money can’t be wiped out by a Bankrupt. There is thus no incentive to stop playing, because you can’t lose that money, and thus it makes sense to go for as high of a score as possible. 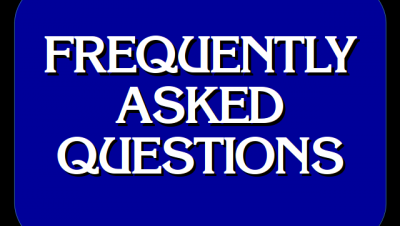 Jeopardy!, on the other hand, carries that risk of losing money/points on every single question. There’s too much of an incentive to just stop playing if it’s all dollars all the time, and it makes for a less exciting game. When the show was in preparation to return to air in 1984, there was much discussion about this issue, and here are the reasons this change to the game was made. 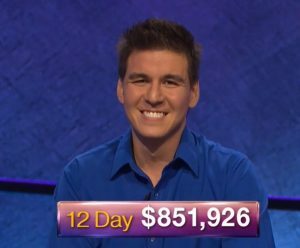 The sums of money a contestant can win on Jeopardy! are much greater now than in the original version of the show. For example, Burns Cameron, the Tournament of Champions winner in 1966, took home just over $11,000. Compare that to the $172,000 won by Chuck Forrest in 1984 [sic], and it becomes clear that we are dealing with a different sort of game. So we realized that in the new version of the show, three players could very easily reach Final Jeopardy! with five or six thousand dollars each. One or two of the contestants could look at the category, which might be Nuclear Physics, realize they have little knowledge in this area, and conclude that it will be nice to go home with $5,000 in their pockets. They would wager nothing. In the older version of the show, with just a few hundred dollars involved, most contestants would take a whirl at it and risk it all with the hope of winning. Even then, some were content to leave with small sums. “Some of the contestants were there just to pick up cash,” recalls the show’s first producer, Bob Rubin. “Once they built up a little money, they would protect it, wouldn’t risk much, and didn’t care if they came back on the show the next day. Others were only interested in winning, risked everything, and that made for the excitement. Women contestants were more apt to be protective of the money than men.” There was one male contestant, however, who appeared on the show in 1967 with the express purpose of winning enough money to buy an engagement ring. He won a sufficient amount for the ring midway through the game and kept his mouth shut from there on. He did, by the way, purchase the ring, marry the girl, and remains married to her twenty-three years later. But when the show returned in 1984, we knew that it was going to be sold largely for early evening time-slots, competing with reruns of sitcoms, and later, those tabloid shows; our product had to be exciting, and the key was a horse-race to the finish of Final Jeopardy! the other problem we anticipated was that if a contestant was running away with the show—$14,000 to, say, $5,000—the contestants with less money, knowing they cannot possibly win unless the leader made a historic blunder, would not even participate. So by changing the rule to allowing only the winner to keep the cash (although there are occasions when someone is so far ahead Final Jeopardy! has no suspense) more often than not the outcome of the game remains undecided until the final seconds. We feel this rule change put even more jeopardy in Jeopardy! As for me? I agree! It’s that important to get players to play for the win. 4 Comments on "Why Does Only The Winner Keep The Cash?" I agree otherwise there would be no wagering strategies and it would be less exciting. In the current version, the second place contestant gets $2,000 and the third contestant $1,000, regardless of their actual scores, which can lead to some odd wagering strategies in final. There was a recent game where the winner won $1, as the other two players bet it all and finished with $0. But his victory seemed rather pyrrhic since he only won $1 compared to the $2,000 and $1,000 consolation prizes. True, but the future value of a win on Jeopardy! is a shade under $19,000 — so it was still worth it. And even if he lost the next game he would get at least $1,000.